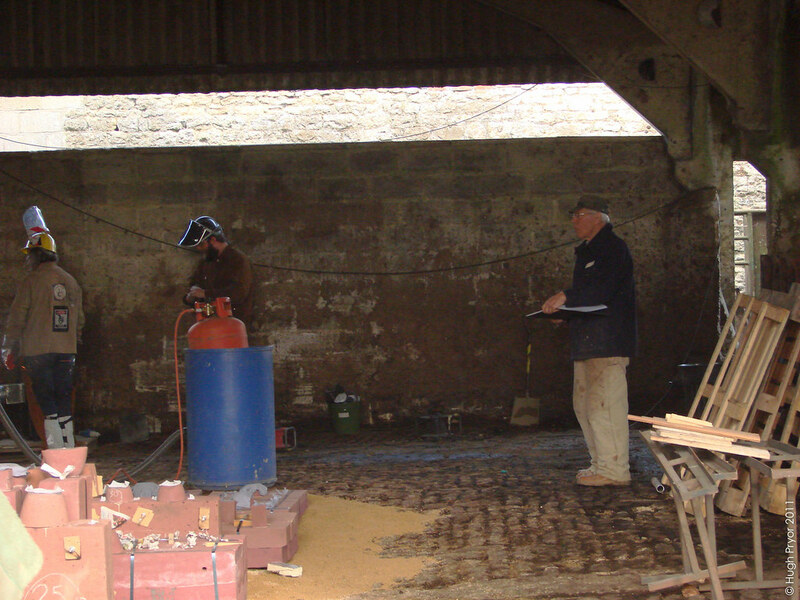 This was at the Bull Pen – a barn near Faringdon, Oxfordshire. 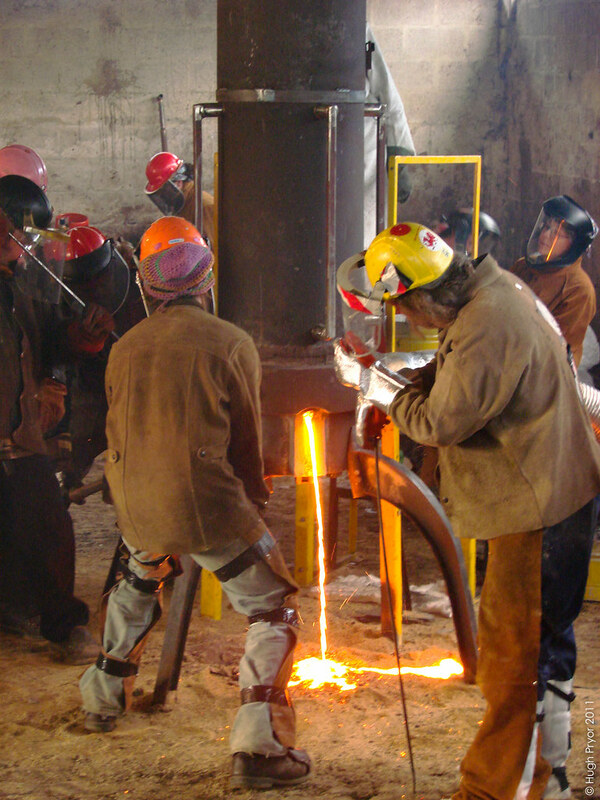 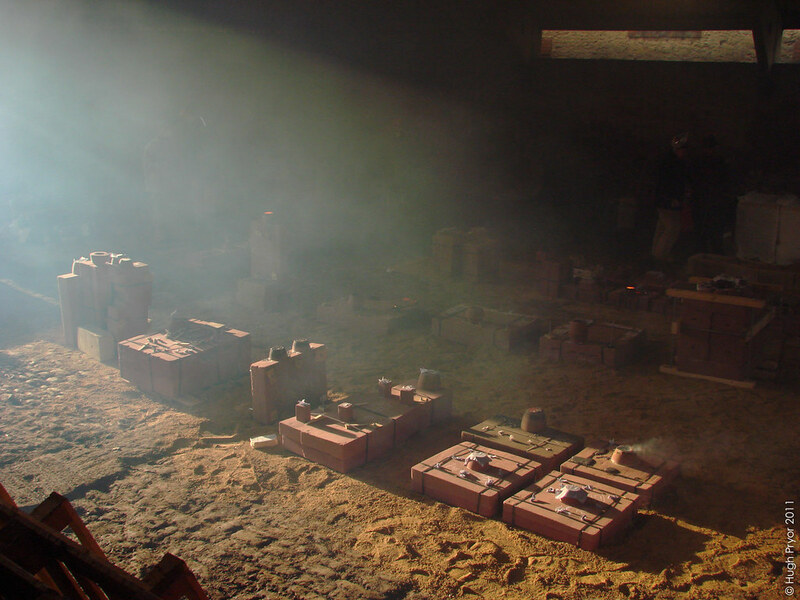 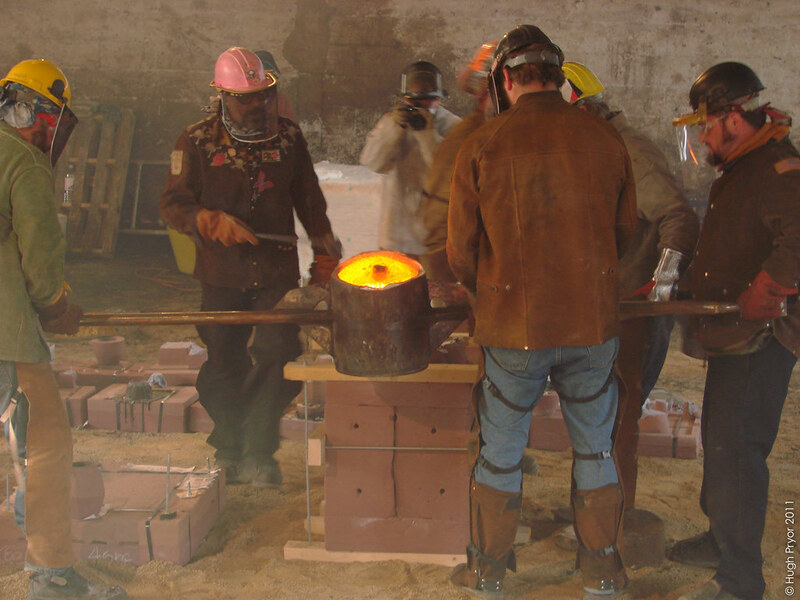 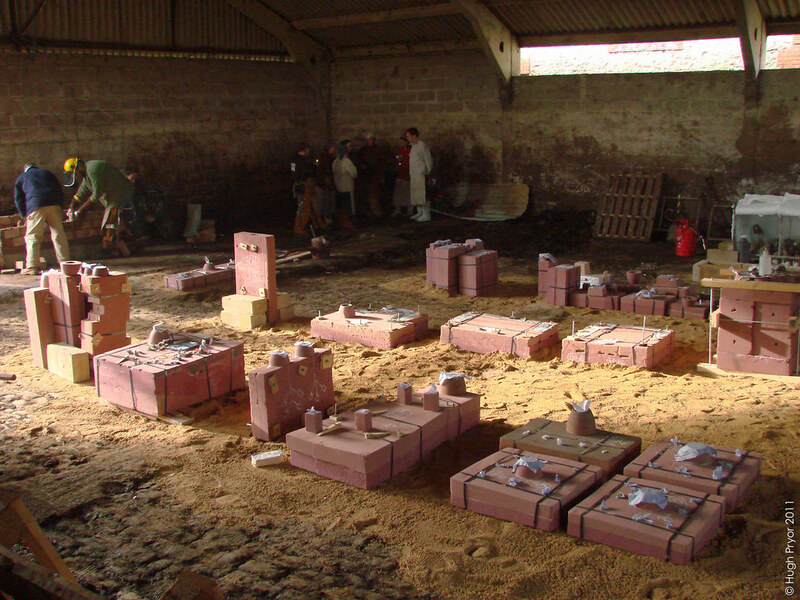 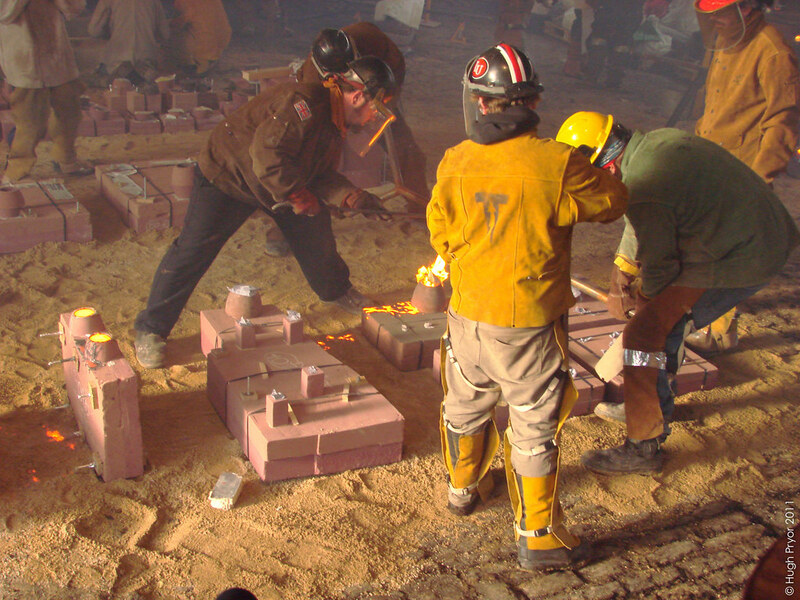 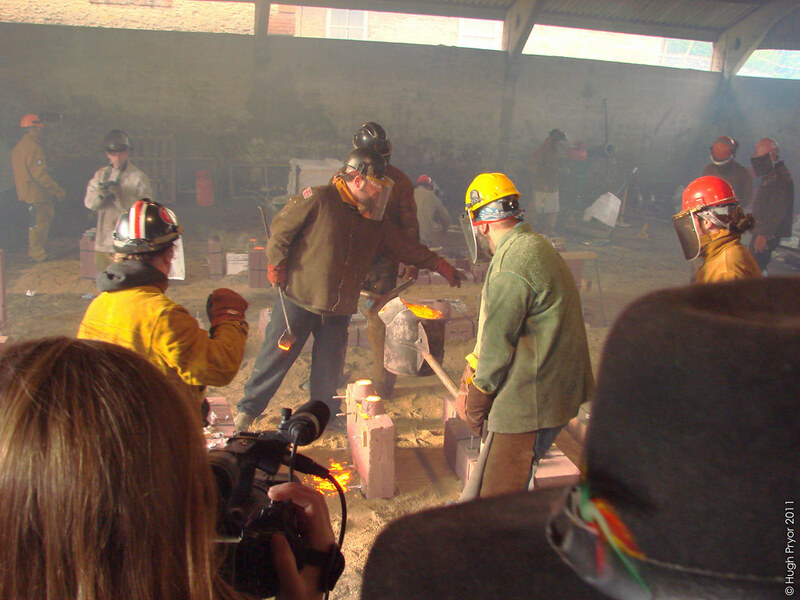 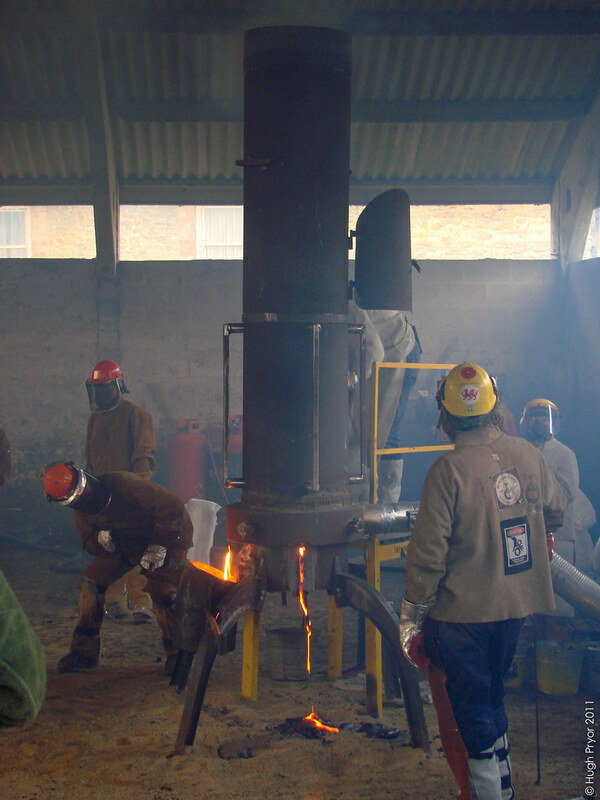 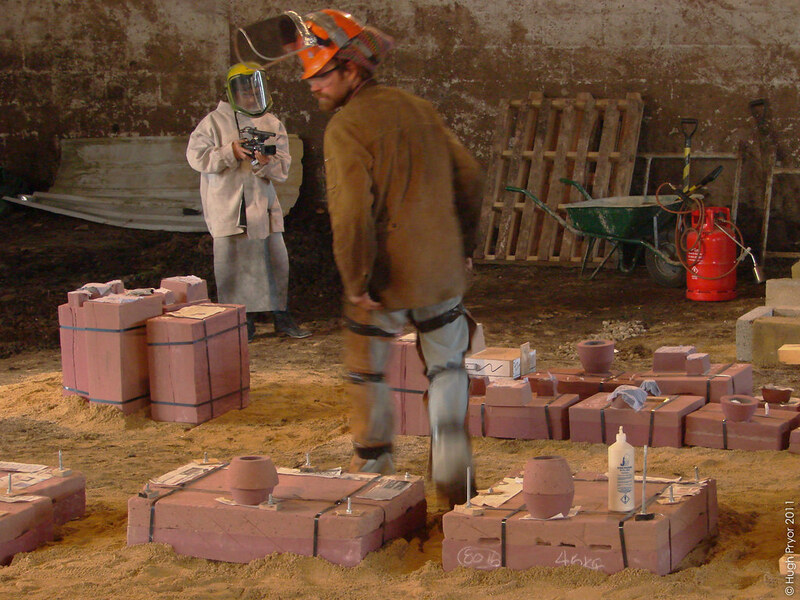 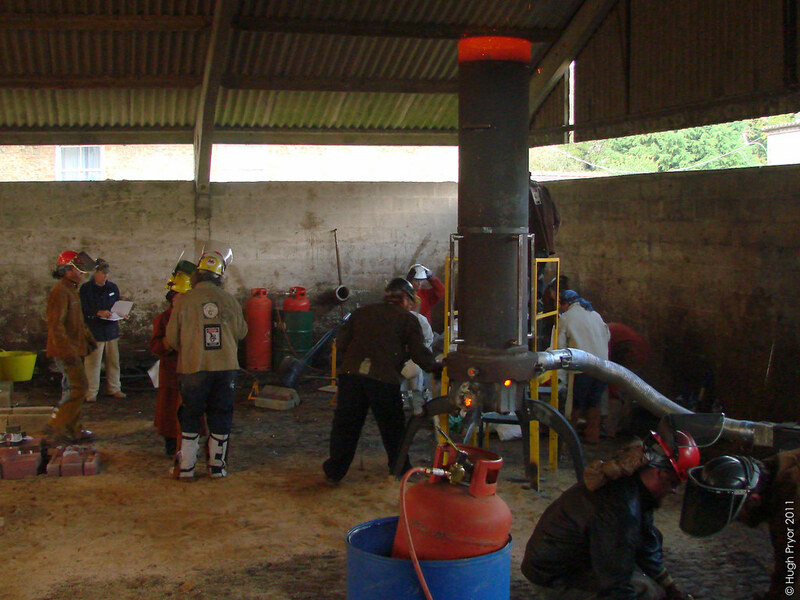 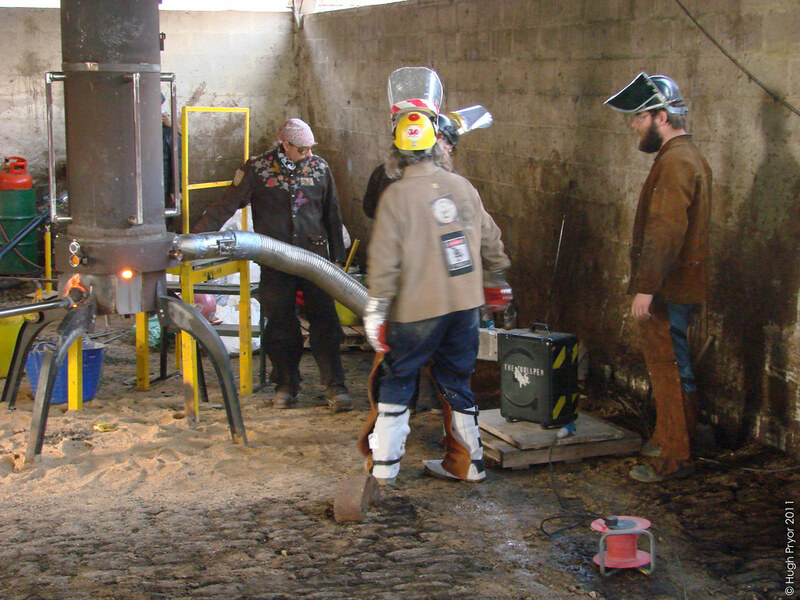 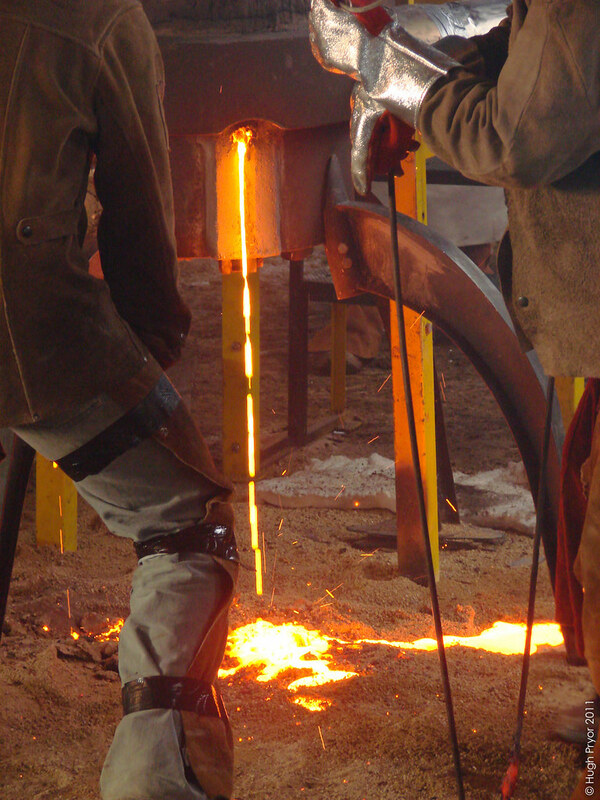 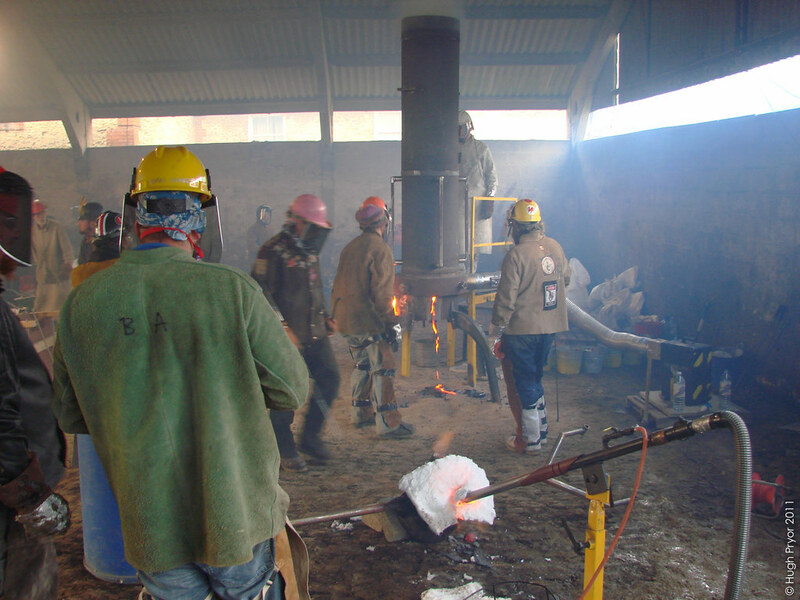 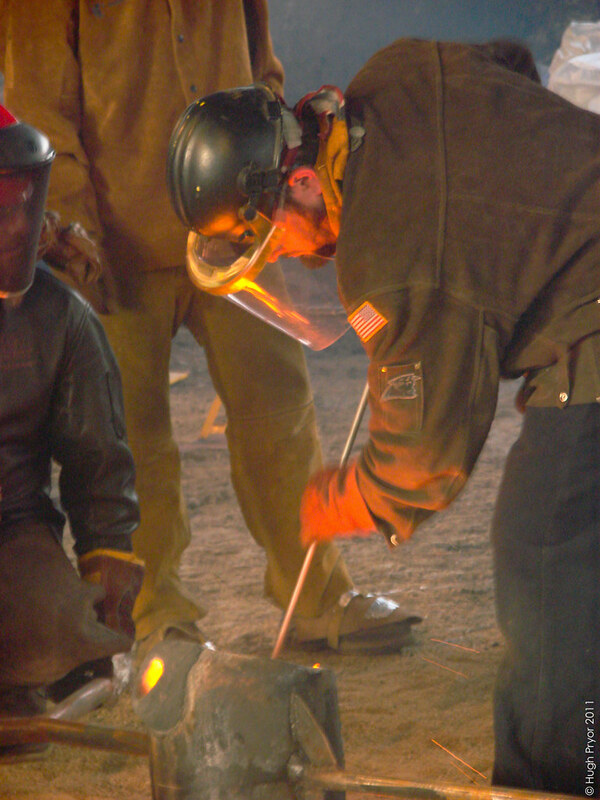 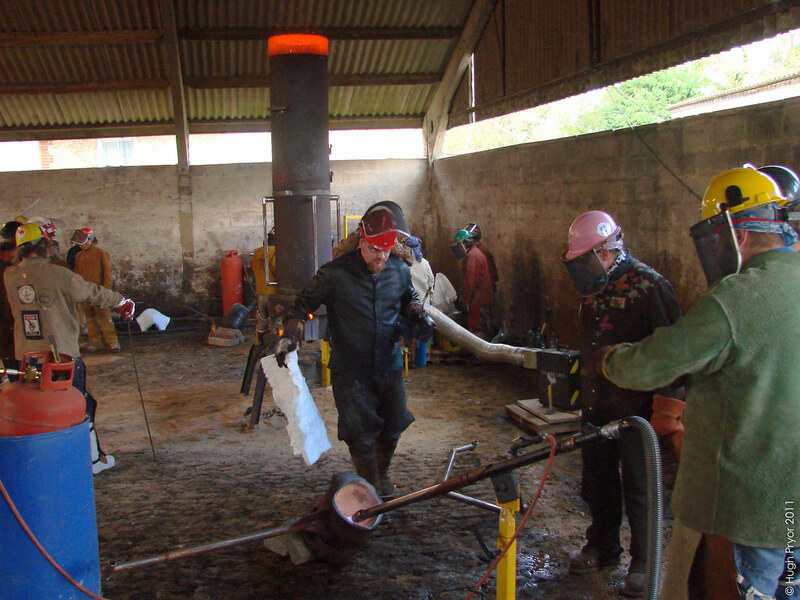 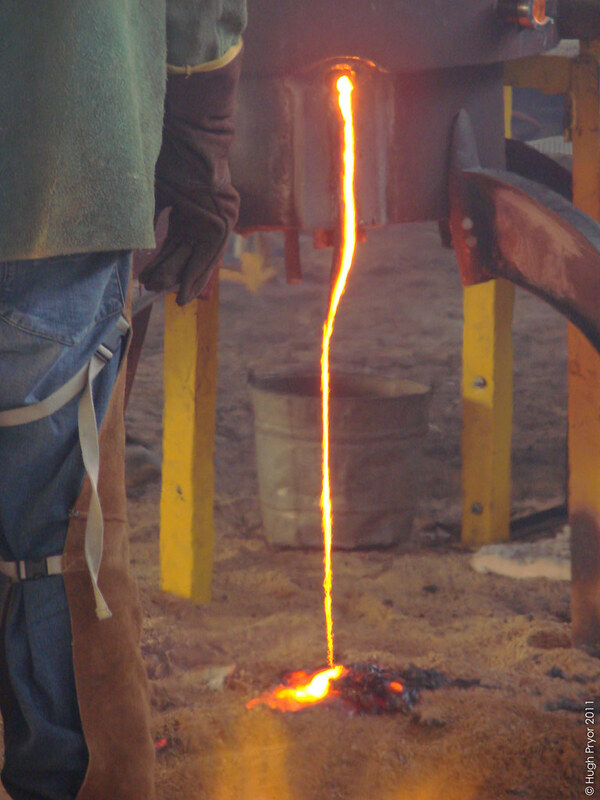 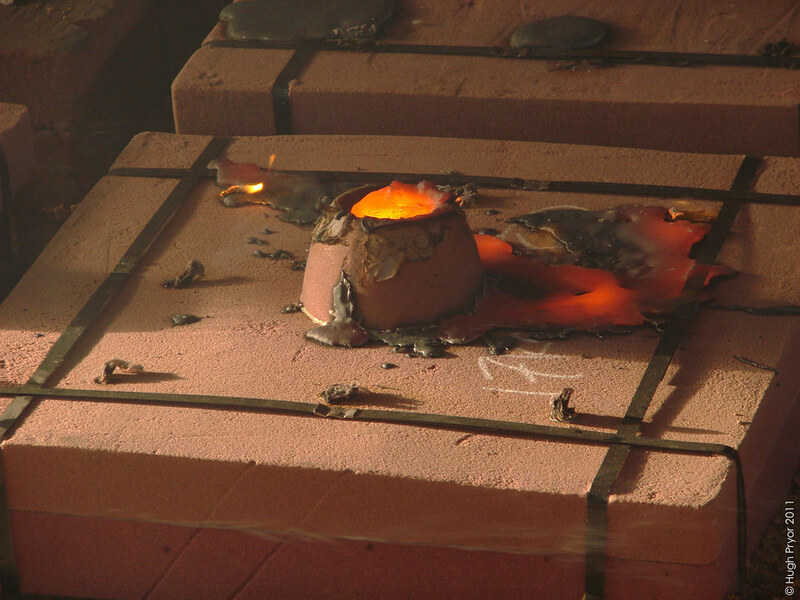 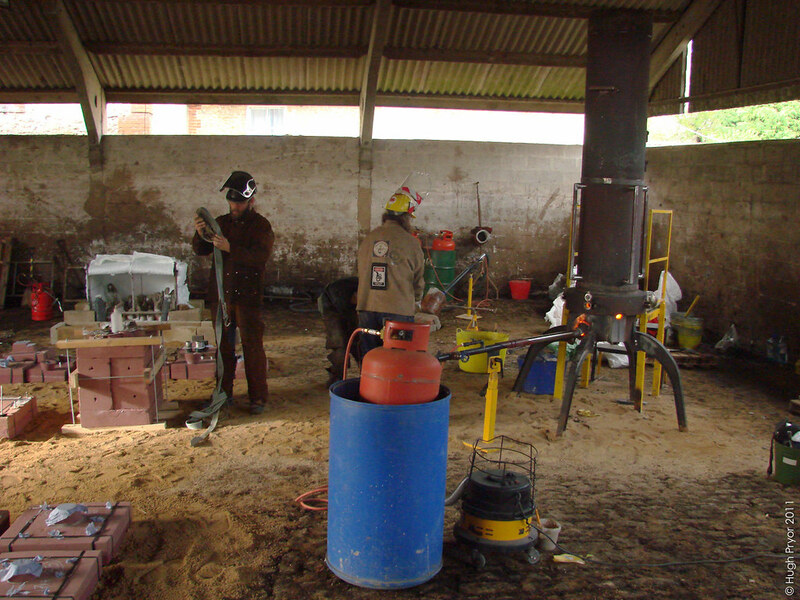 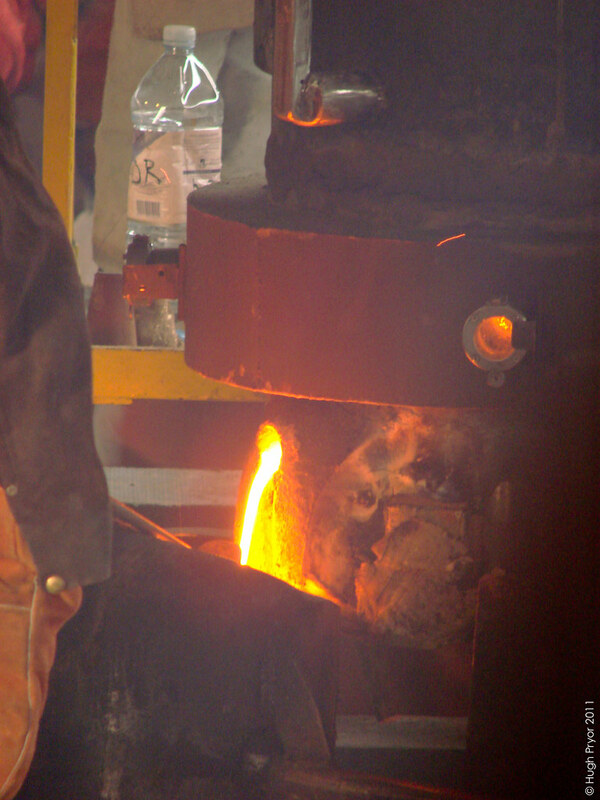 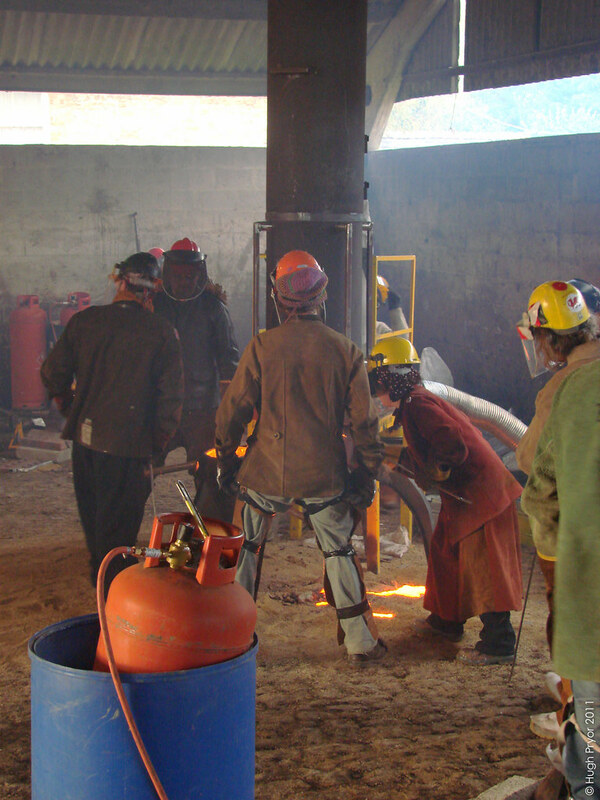 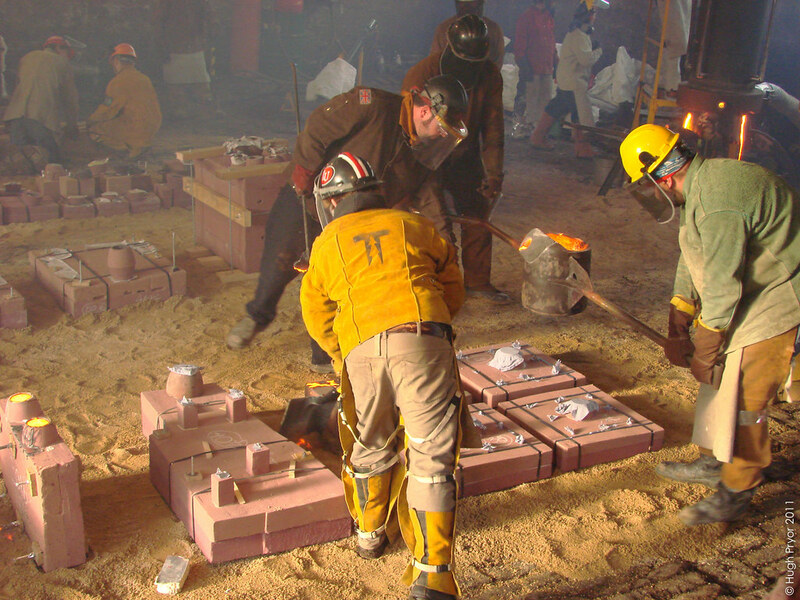 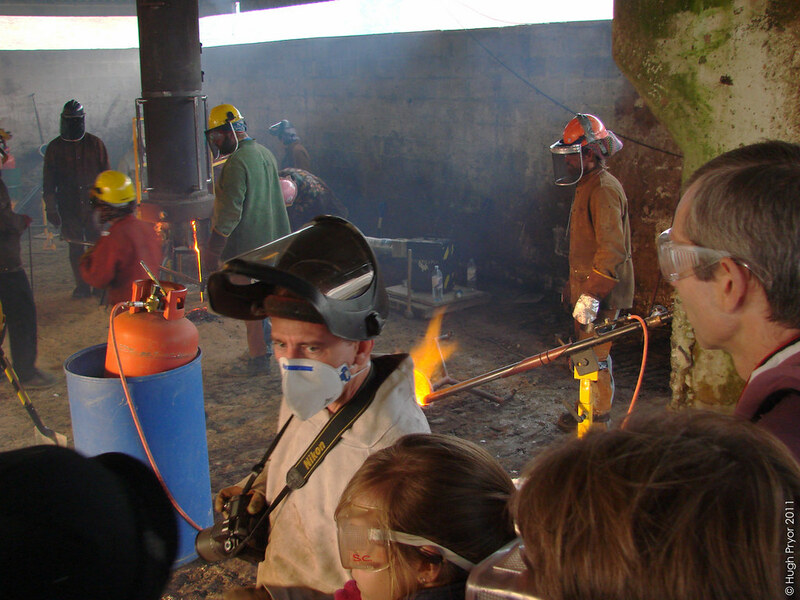 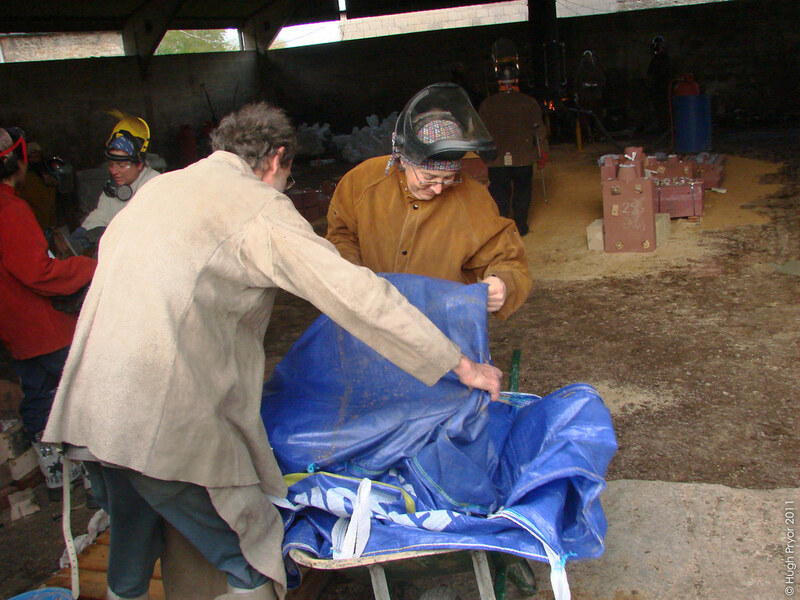 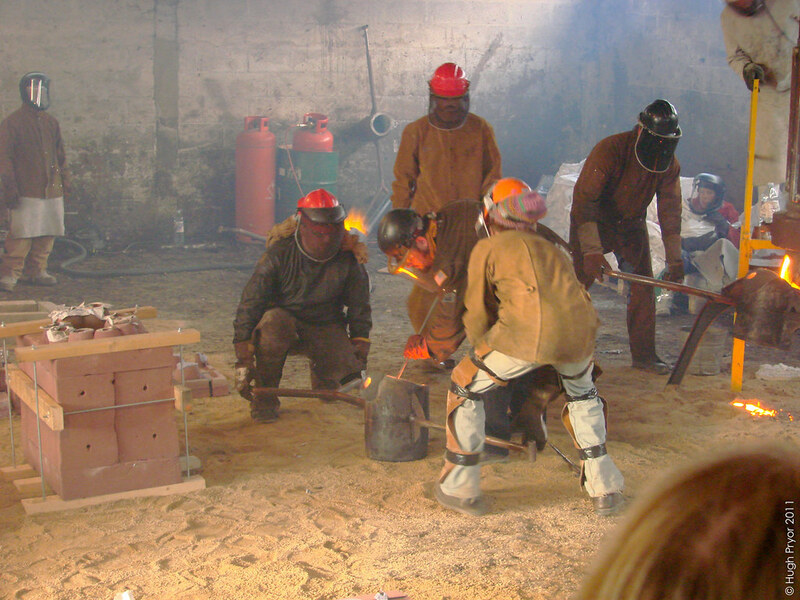 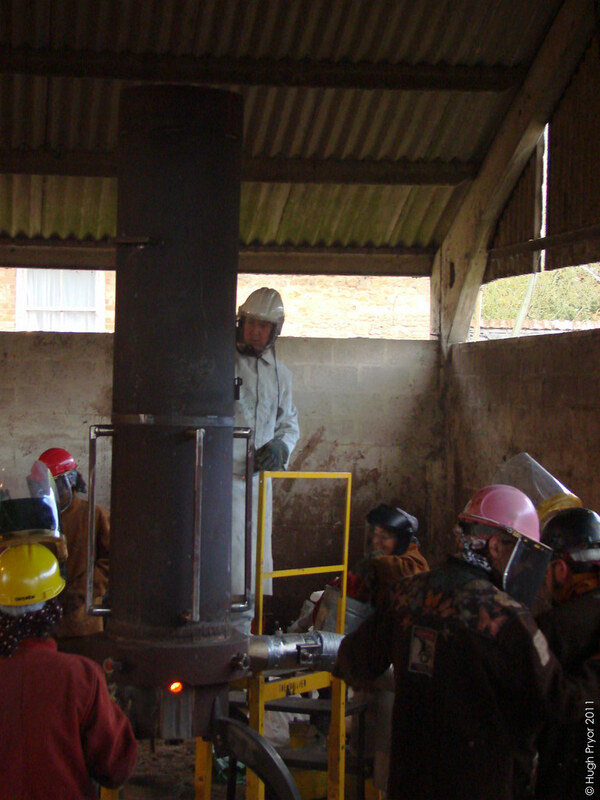 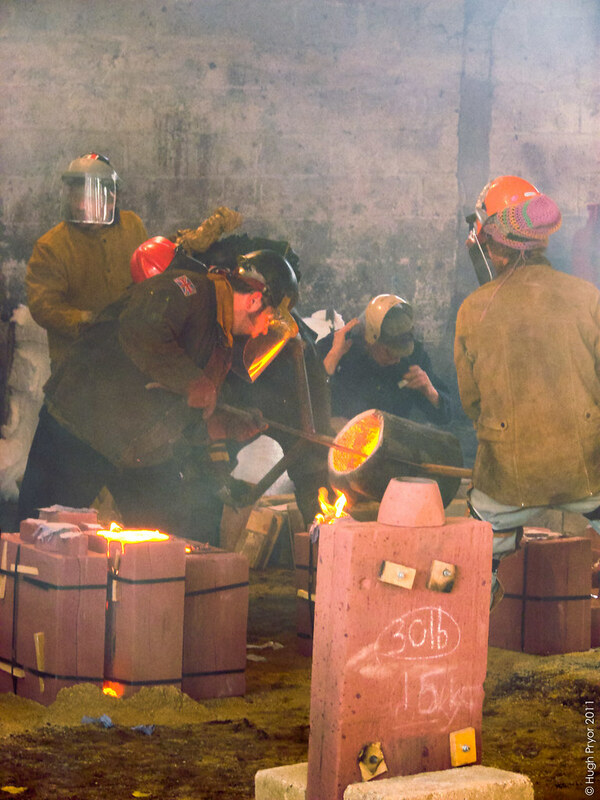 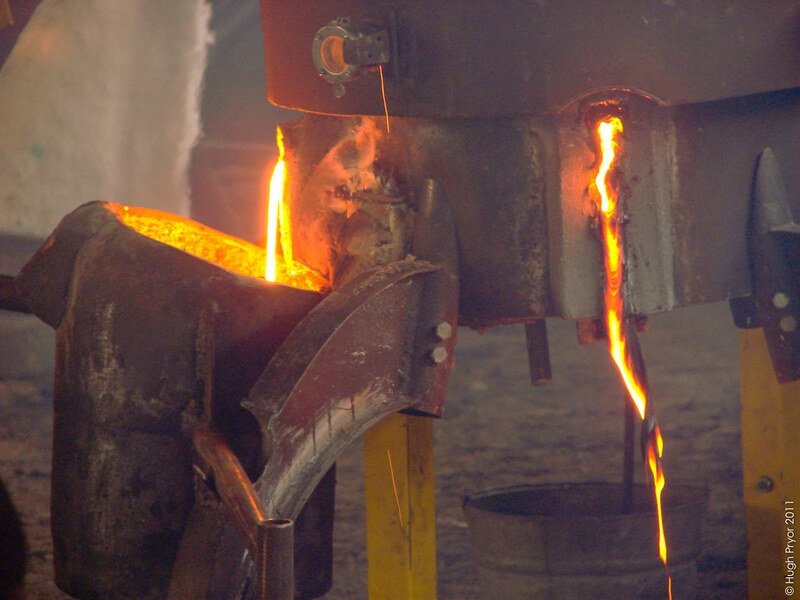 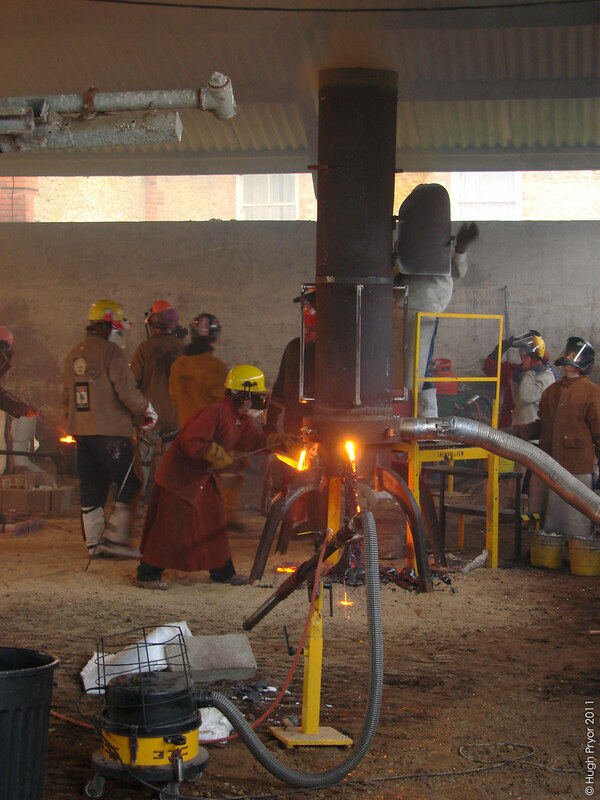 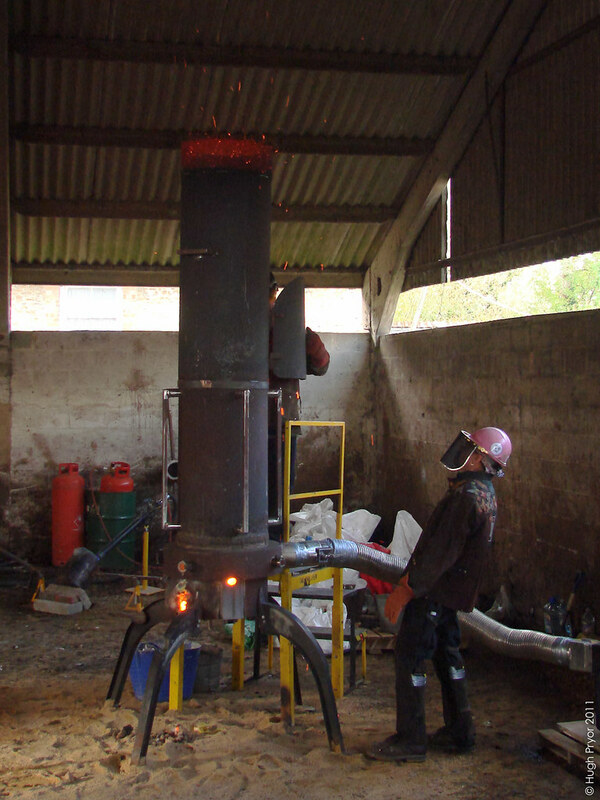 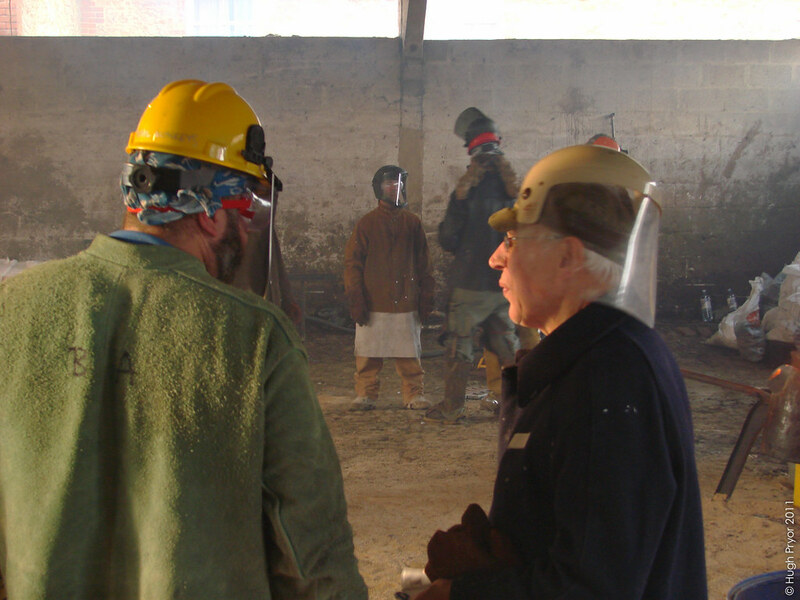 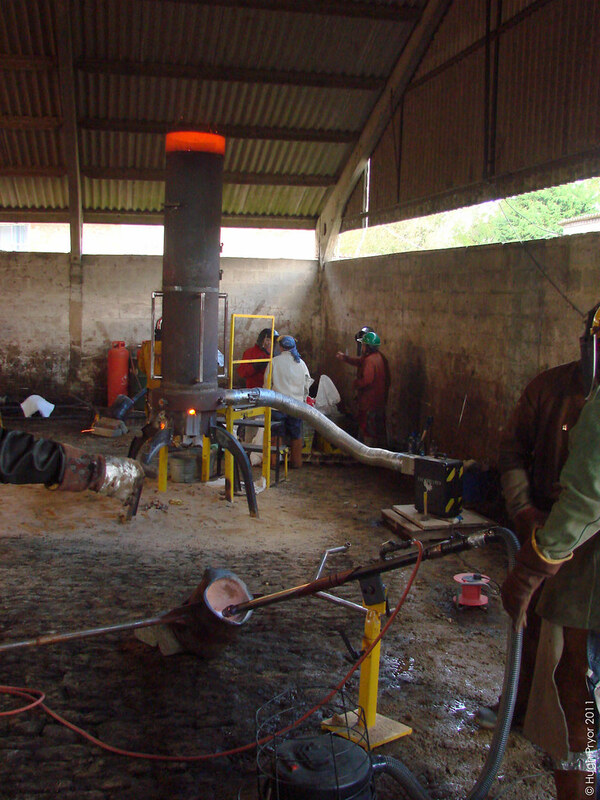 The event started off with the furnace being heated up with the moulds ready to pour. 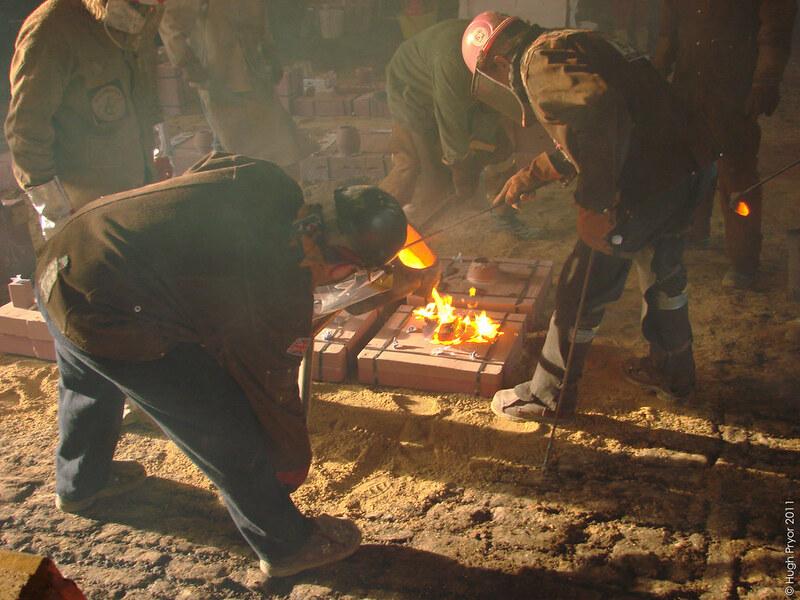 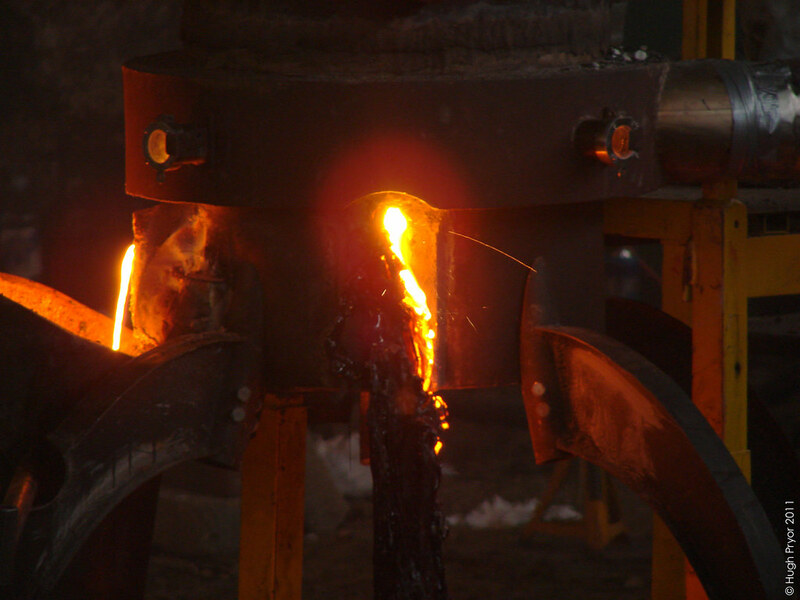 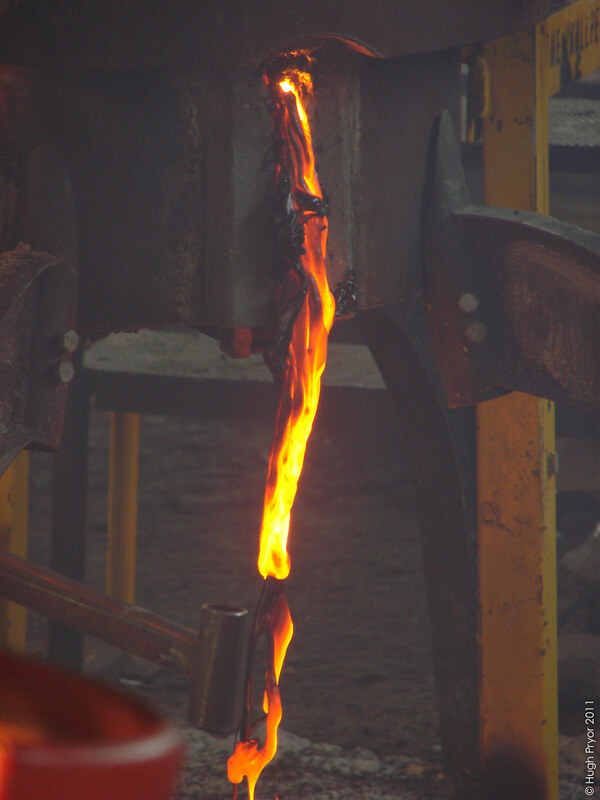 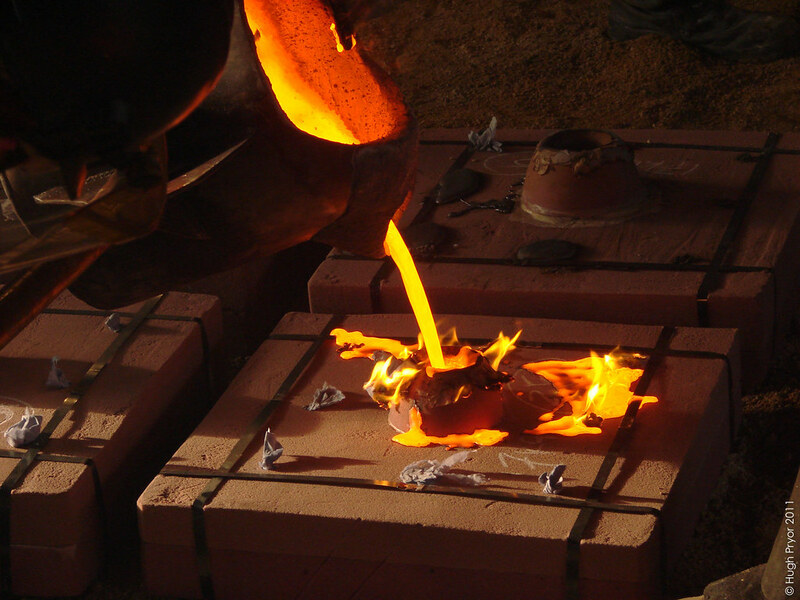 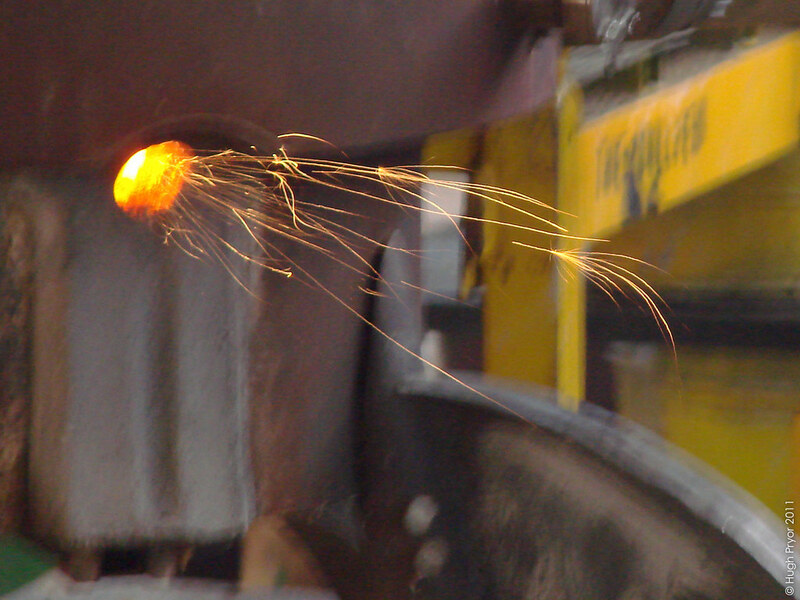 Iron and coke were fed into the furnace, the slag was drained off and when enough of it was ready, molten iron was drained into the crucibles which were quickly poured into the moulds.